Driving under the influence (DUI) can be one of the most unsettling and scary ordeals of a person’s life. Don’t go it alone! The Law Offices of Stephen F. Allen, P.C. has over 30 years of experience which can help make this difficulty situation better while working toward a favorable resolution! In the State of Maryland, DUI carries a maximum penalty of one (1) year in jail, $1000 fine and an initial 180 to 270 day license suspension. If convicted of DUI, you would also receive 12 points on your license which can cause a revocation of your driving privileges in addition to all of the other penalties indicated. If you are not a resident or licensee of Maryland, any conviction would be forwarded to your home State and you would likely be subject to similar license penalties. For Maryland licensees, the Police will take your plastic license upon arrest and issue you a 45 day temporary paper license if your breath test if over a .08 BAC or if you refuse a breath test when requested by the Officer. Although an out of State license should not be confiscated, a resident of another State would still be subject to the same preliminary license restrictions but only in the Maryland. 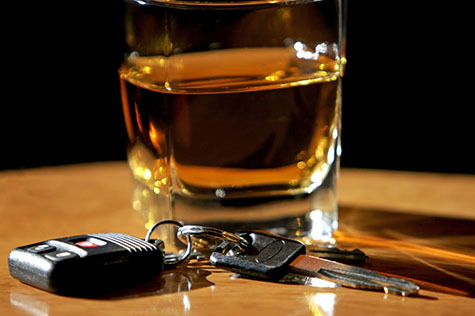 Driving under the influence (DUI) does not mean you are necessarily intoxicated or drunk. The Government has lowered the standard over the years and you are not allowed to drive if your normal motor skills and/or coordination are substantially affected by any foreign substance. Except for being tired which may just result in a negligent driving citation, any prescribed, over the counter and/or prescription drugs can be viewed as substantially impairing ones normal coordination and motor skills causing you to be viewed as an unsafe driver under the law. Many people are not aware that driving while under the influence of a legally prescribed drug such as a like a muscle relaxer or pain medication can be just as illegal as driving drunk and could support a prosecution for DUI. unfortunately, your medical need or physicians orders may only support a prosecution for a DUI charge especially if the medicine specifically warns that its use causes drowsiness or should not be combined with any alcohol consumption. Even things such as over the counter Nyquil (40% alcohol) and remedies to allow you to fall asleep at night like Sleep-Eze can be used by the Government in an attempt to prove that you were affected by substances making you an unsafe driver. The National Highway Traffic Safety Administration’s (NHTSA's) 2013-2014 National Roadside Survey found that more than twenty-two percent (22%) of drivers tested positive for illegal, prescription and/ or over-the-counter drugs when stopped and/or arrested for suspicion of under the influence and/or impaired driving.